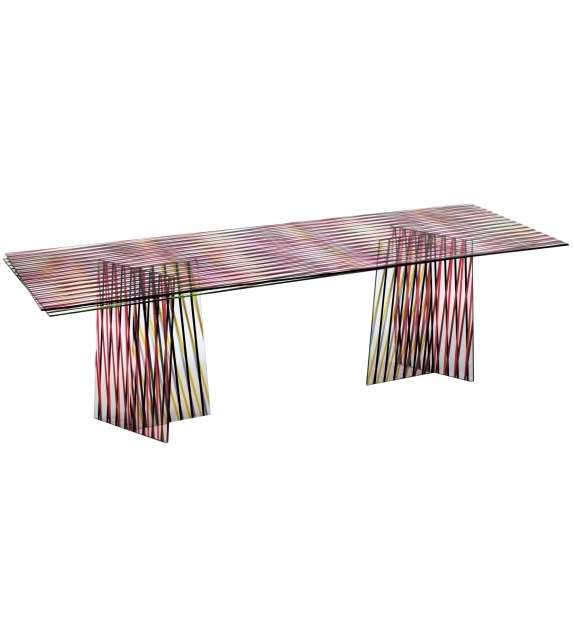 Glas Italia, Crossing table: High table in laminated 8 + 8 mm. 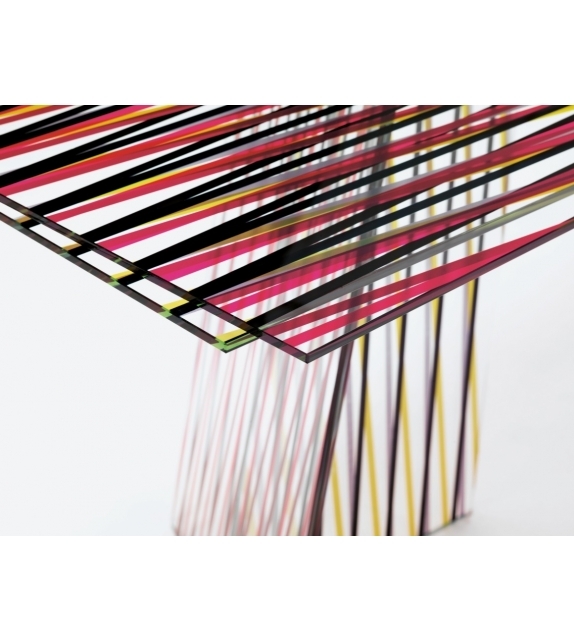 thick tempered transparent extralight glass, which thanks to special three-dimensional polychromatic decoration presents a magical pattern of weaving and overlapping lines and colours. Glas Italia, Crossing table: High table in laminated 8 + 8 mm. 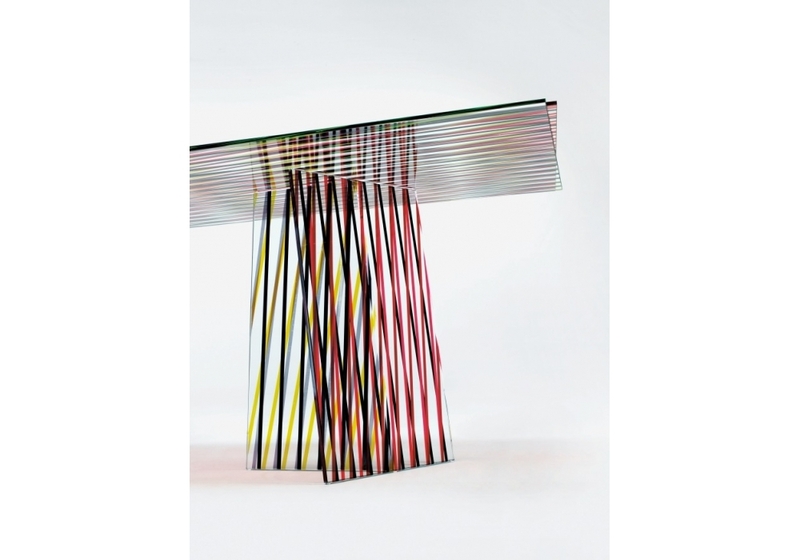 thick tempered transparent extralight glass, which thanks to special three-dimensional polychromatic decoration presents a magical pattern of weaving and overlapping lines and colours. The perception of this decoration changes continuously depending on the vantage point. 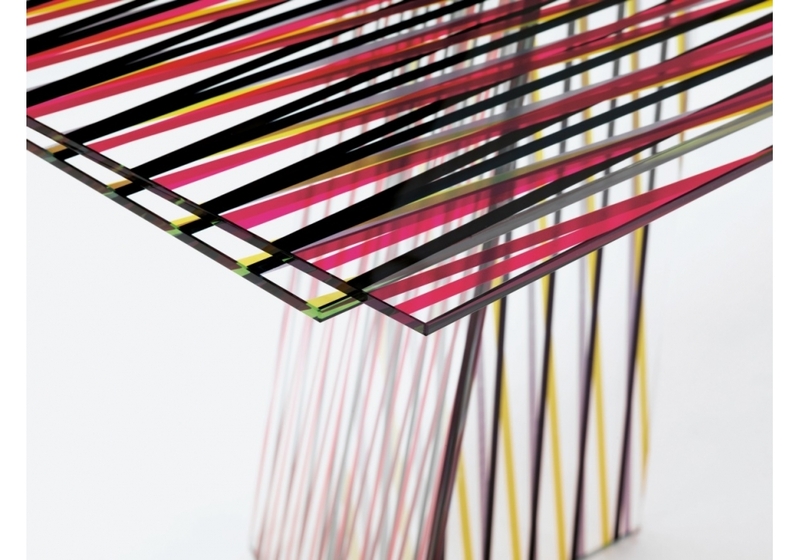 By means of a particular laminating process, the crystal glass is assembled and overlapped irregularly, reinforcing the dynamics of the graphic effect. The bases, with an irregular shape, are in mm. 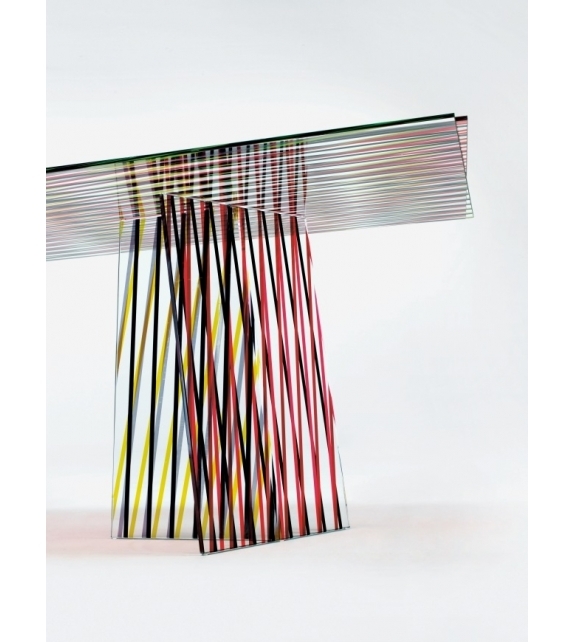 12 thick transparent extralight glass which is tempered, glued and decorated like the top. The top and base blend perfectly creating a work of great strength and personality. 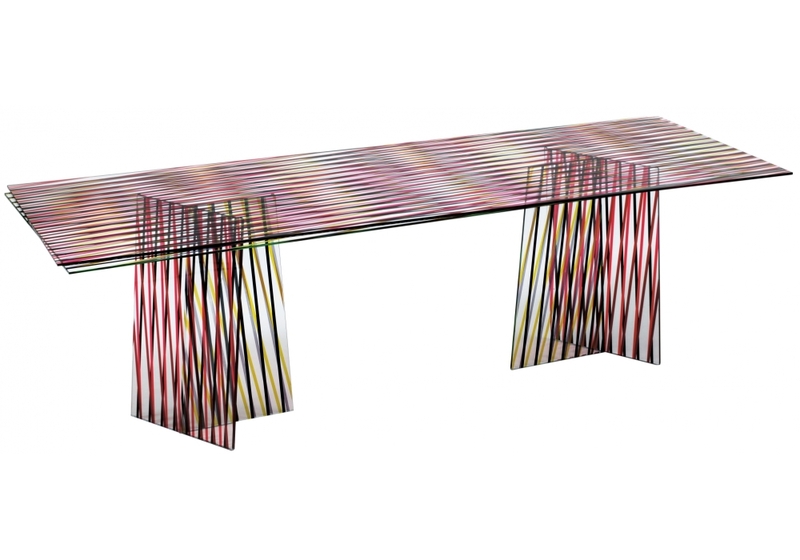 Available in two versions of decoration.